The Monzcare R-CUP has the very common bell-shape. It has ridges along the bottom of the cup and stem to aid in removal. Some may find that the softness and flexibility of the Monzcare R-CUP makes it harder to get the cup to pop open after insertion. Others may find that the flexibility makes it easier to fold smaller, which will aid insertion. The ridges on the stem and bottom of the cup should make it relatively easy to remove. It comes in two sizes: 1 and 2. Size 1 is best for women under the age of 25 who have not given birth. Size 2 is better if you are above 25 or have given birth. This cup is one of the softer cups. Some women may find that a less firm cup is more comfortable to wear or easier to fold. Others find they have trouble getting softer cups to pop open once inserted or that they do not stay in position very well which can cause leaking. Because this cup is made of a single piece of silicone and has only the minimal necessary ridges, it should be among the easier cups to get clean. 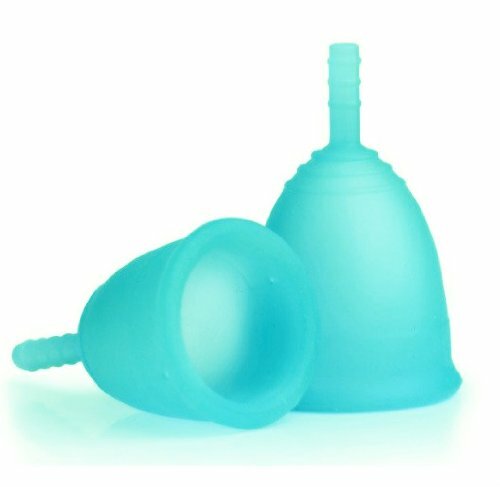 This cup is among the cheaper menstrual cups available. The Monzcare R-CUP is registered with the FDA, which has approved all silicone menstrual cups.